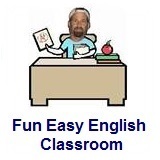 ﻿ Fun Easy English - new classroom free online classes english language lessons speaking listening writing reading november 5. Today in the classroom you are going to learn some slang beginning with the letter U. 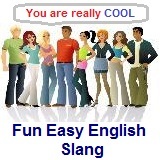 Today learn slang beginning with the letter U. When someone is considered to be uptight they are generally anxious or nervous. Green Day is an American punk rock band formed in 1987. This is their song "Uptight" with lyrics written in English and in Spanish.